← Exciting updates and announcements! 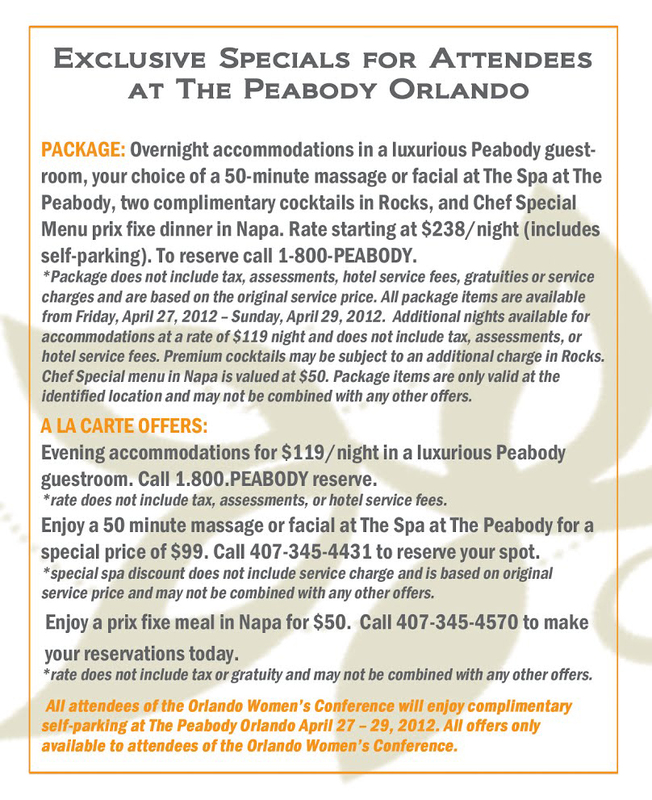 The Peabody Orlando invites Orlando Women’s Conference attendees to continue the good vibes of the day with an overnight stay at the hotel. Enjoy deluxe accommodations, complimentary cocktails, special prix fixe menu and spa specials!